Fox4 meteorologist Jennifer Myers is leaving the station to become the weathercaster for North Texas-based ONCOR Electric, several sources confirm. Myers, who joined the Dallas-based station in July 2012, has been best known as the temperature taker for weekend editions of Fox4’s Good Day. Until recently, she had teamed with anchor Jenny Anchondo, who departed the station in March and now is with the syndicated Morning Dose, which originates from CW33 studios in Dallas. Their pet segments had been a popular feature on Good Day. Myers, who could not immediately be reached for comment, likely will exit Fox4 by the end of this month, although details are still pending. Fox4 does not comment on internal personnel matters, a New York-based corporate spokesperson has said repeatedly. The University of Oklahoma graduate arrived in 2012 from El Paso’s KVIA-TV, where she spent two years. 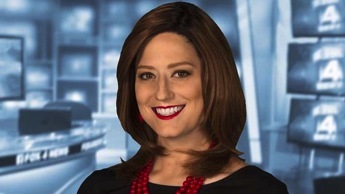 Myers increasingly has bristled over a management mandate that she wear a straight-haired wig on the air to cover up her naturally curly hair. In a recent pre-show, “behind-the-scenes” post on her Facebook page, Myers put up a video in which she could be seen in her curly hair before putting on a skull cap and combing out her wig.